This is the second year I have had the privilege of joining Jeta Technology Services in going to the Consumer Electronic Show in Las Vegas. Just like last year, CES 2013 was filled with the best (and worst) new inventions that are supposed to make our lives easier. I’ll be writing two more blog posts after this one with photos and my favorite and least favorite parts of the convention. First, I want to share my general impressions about the trip. 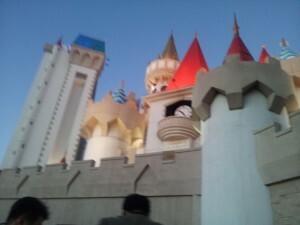 The Excalibur, where we parked and caught our shuttle to the LV Convention Center. I love the architecture. We stayed at a time share a few minutes away from the strip, for which I am exceedingly thankful. Las Vegas holds no allure for me. As I traveled through downtown and around the city in general, all of the messages you see on signs, in buildings, on cars, and even plastered on the side of the high rises have a theme. “Come and see the most entertaining show on earth. Get your game on. Satisfy your curiosity. Live the nightlife.” Every message I saw boiled down to one thing: self worship. Entertainment. That’s what this city is about, isn’t it? That’s why there are so many people who wander the streets and have lost everything. It is so contrary to who I am and what I value. I am so thankful for Jeff and Trevor with Jeta and for their integrity. We three stuck together in standing apart from the city. Today I decided to make a point to look everyone I spoke to in the eye and to say a genuine “thank you” when they spent time talking to me. In a place like Vegas, where everyone is always on to the next big thing, the next vice, kind words really get people’s attention. I asked the lady who was signing people up to win the Ford Fusion how she was doing today, she stopped and had to think for a second. “Um, I’m doing fine. Thanks for asking!” You could tell, it was the first time someone had actually cared to ask about her. In business, this is something I will always try to carry with me. I build websites, but I am here for people; to develop friendships and to meet needs. Sure, I love to design and I love solving challenges, but working with people is where the joy lies in my work. I hope I never lose sight of that. 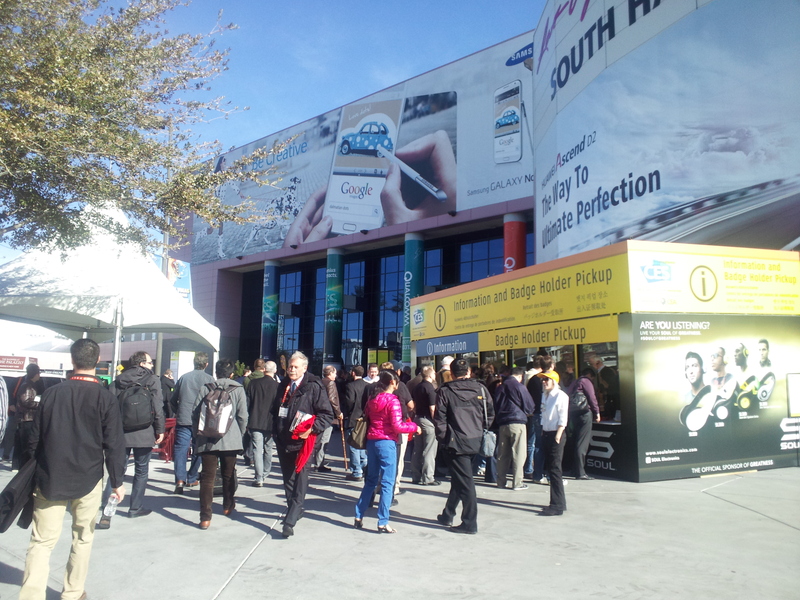 More to come soon: The Best and The Lame of CES 2013.